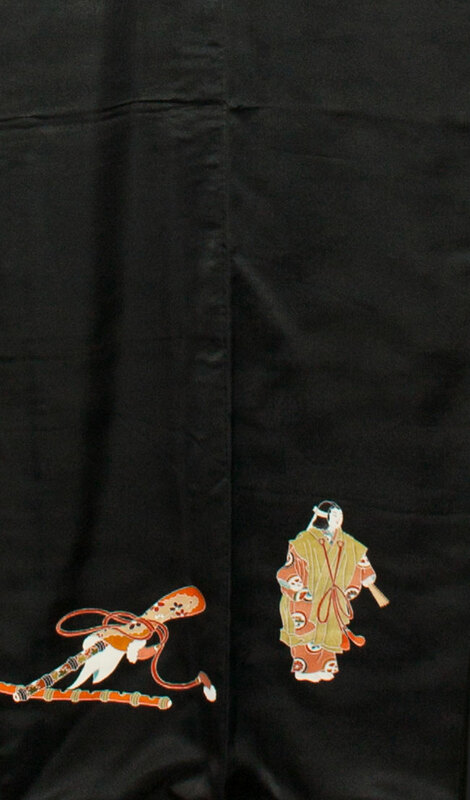 Kimoyes item: 20340 - This is a luxurious black silk kimono with dyed designs and overall pattern. 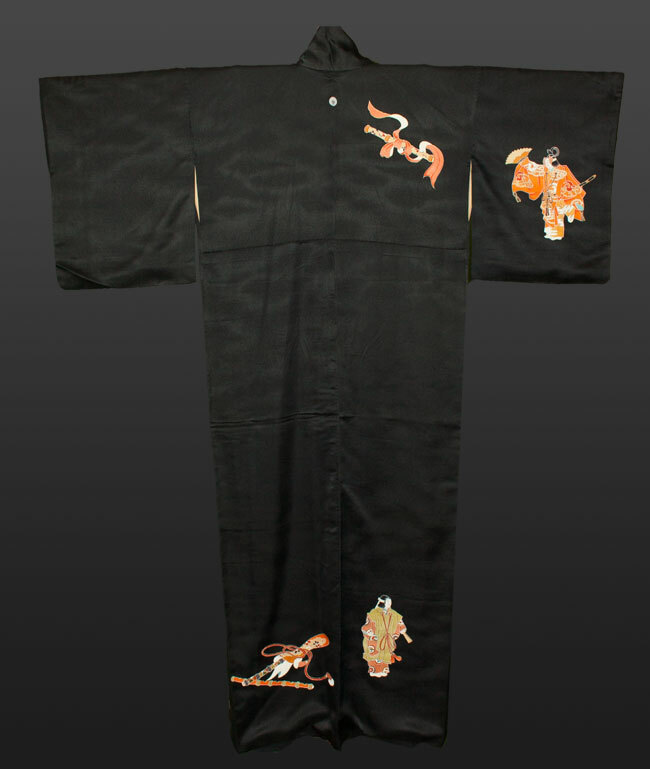 This is a luxurious black silk kimono with dyed designs and overall pattern. 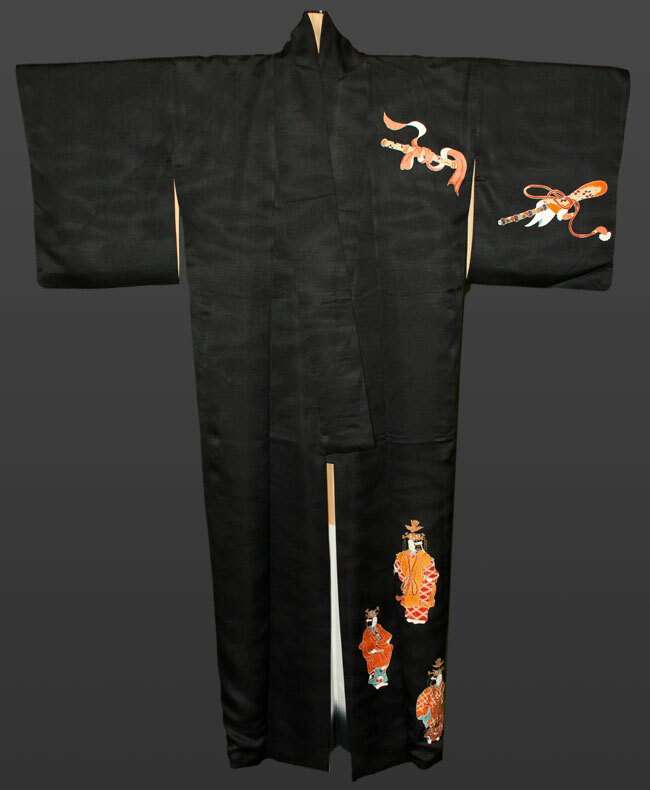 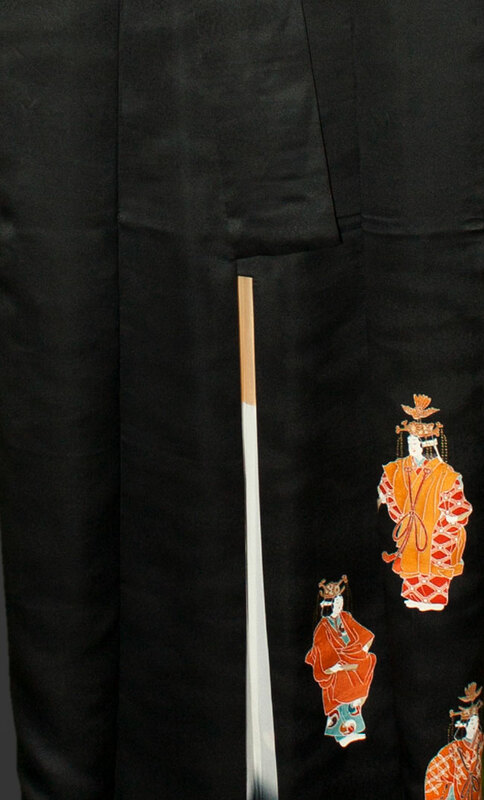 It is lined with cream silk and has a few small watermarks on the left inside lining which is invisible from the outside.This kimono measures 50 inchese from sleeve edge to sleeve edge and is 64 inches in length.